As some of you may know, I spend a lot of time in Japan and when I first arrived there, I was extremely surprised by the dance music scene over there. I’ve been listening to electro music and DJing for years, but before landing in Tokyo I almost never heard of Japanese artists so I wasn’t expecting much. I couldn’t be more wrong, and Japan has plenty of talented music producers and DJs, thousand of crazy night clubs and other underground concert halls. If the Japanese scene is not that famous outside Asia, that’s mainly due to the insane language barrier most English-speaking listeners are confronted with when listening to Japanese music. Who wants to follow a Twitter account full of indecipherable characters? All jokes aside, Japan has a lot of talent that you guys should listen to, and that’s why I did create my own company, Den Haku Records, with a simple goal, to give worldwide exposure to the Japanese scene. 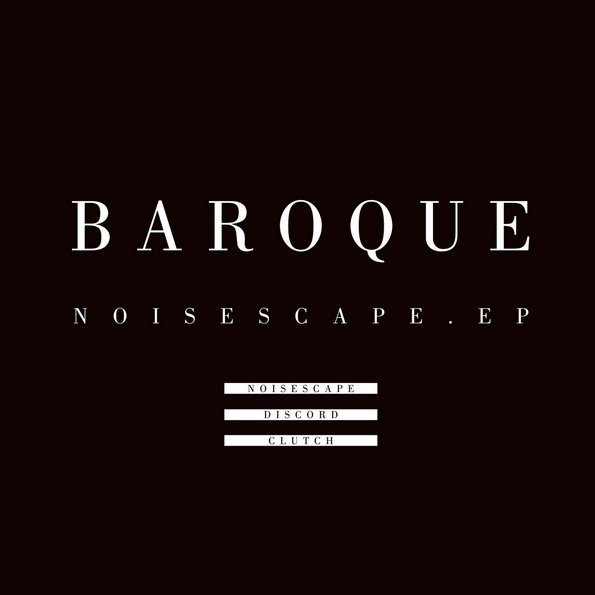 The second release, from Baroque, is out now and features three original club bangers. Hailing from Tokyo, Baroque is a DJ/producer. Coming from bass guitar, he used to play for 80kidz’s live sets and performed in the biggest Japanese halls and festivals such as Countdown Japan and Fuji Rock Festival. You can find his rock influences on his new Noisescape EP and actually the basses do remind me of old-time Justice. I personally already dropped the Noisescape track in Paris and the crowd went crazy. Thank you for giving japanese musicians the attention they deserve!